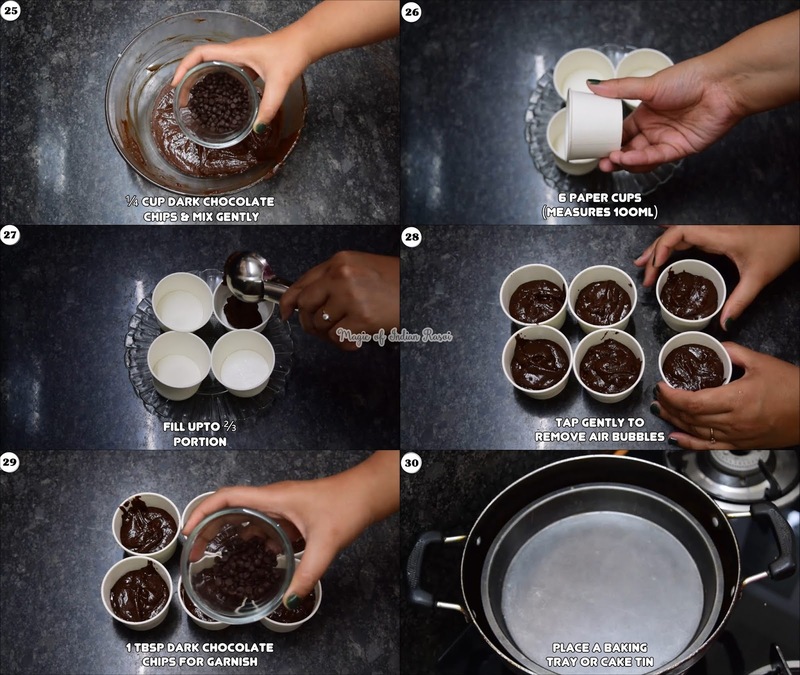 Chocolate Chips Cupcakes are a delicious single serving cake prepared in normal paper cups. 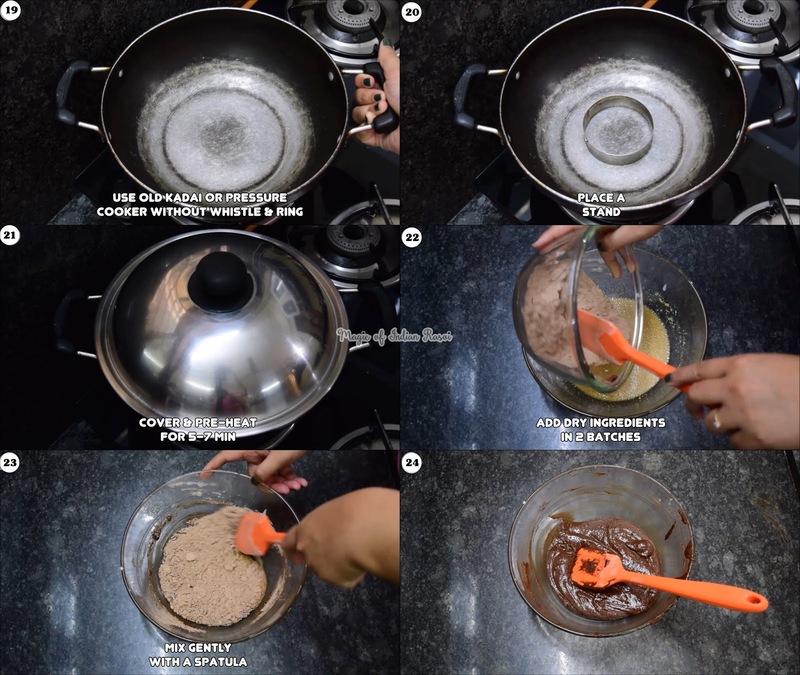 Chocolate cake are favourite among kids and you can make this without using any oven or OTG. 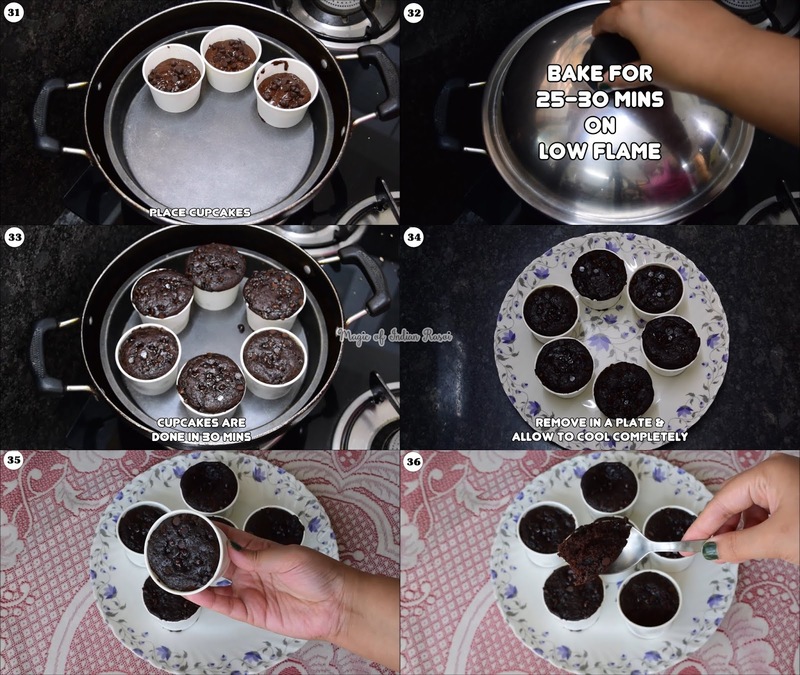 Yes, this recipe shows you how to use a thick bottom kadai or pressure cooker to bake cup cakes. It is a very easy recipe perfect for beginners. These cup cakes can be stored in refrigerator for 2-3 days after preparation and can be had when one feels the need for a yummy dessert! Do try it today. In a bowl mix milk & white vinegar to prepare buttermilk. Keep aside. In another bowl, mix coffee powder & water. Keep aside. 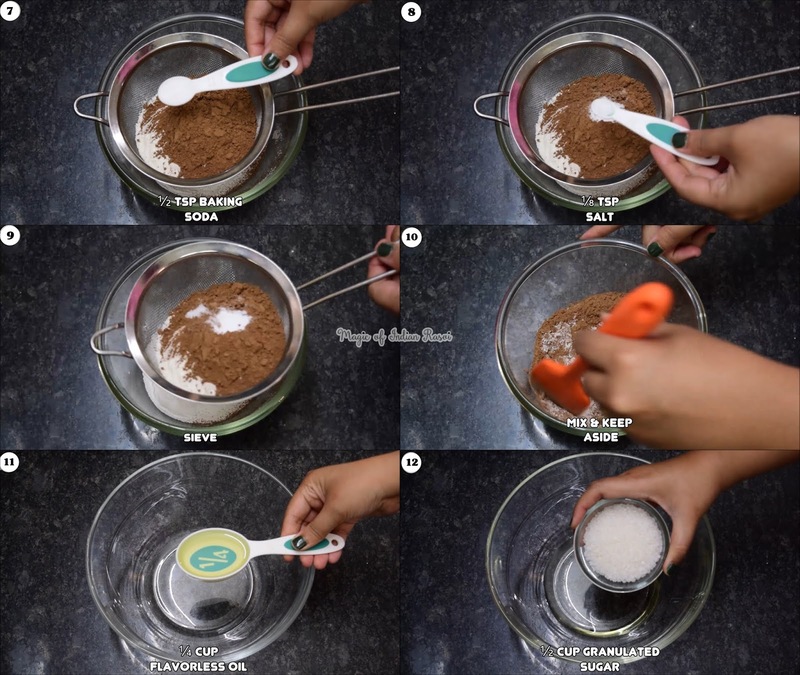 Take a bowl and sieve maida, cocoa powder, baking soda & salt. Keep aside. 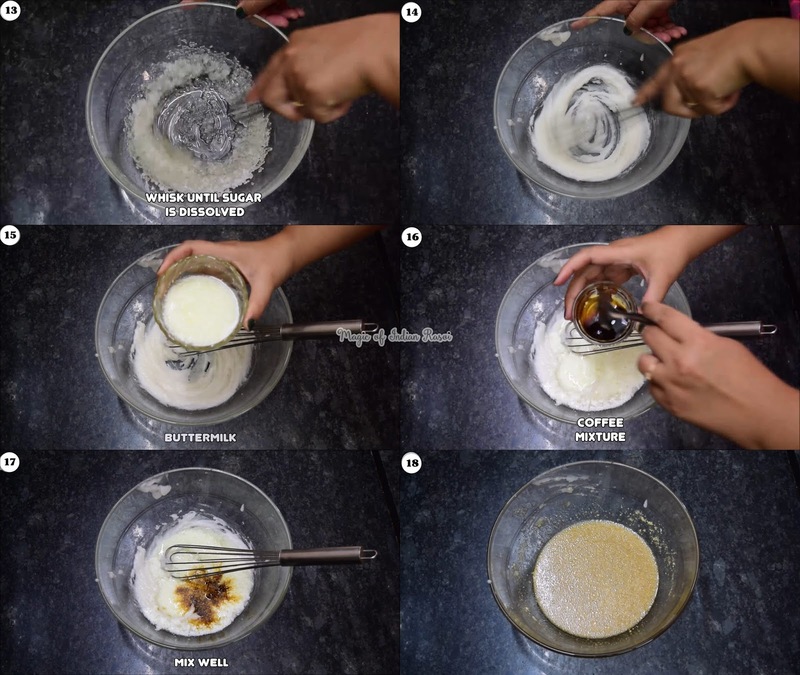 Add buttermilk & coffee mixture to this & mix well. Before adding sieved ingredients to wet mixture, heat old kadai or pressure cooker without whistle & ring. Use small burner & keep it on low flame. Place a stand at centre. Cover & pre-heat for 5-7 min. Add dry ingredients in 2 batches in oil mixture. Mix gently with a spatula. Add ¼ cup dark chocolate chips & mix gently. 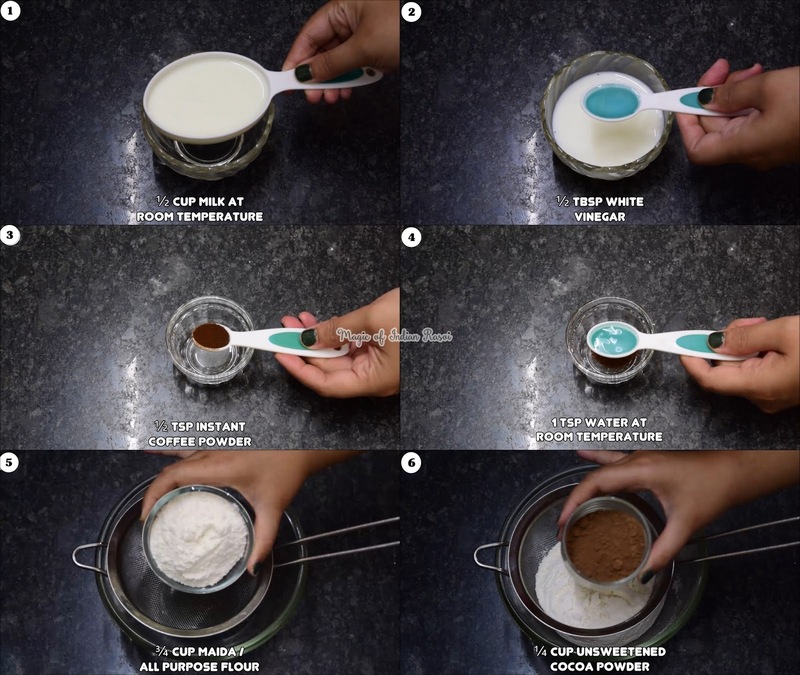 Pour batter in 6 paper cups using ice cream scoop for equal distribution. Fill upto ⅔ portion. Use 1 tbsp dark chocolate chips for garnish. Place a baking tray or cake tin in heated kadai. Place cupcakes on this tray. Cover with a lid & bake for 25-30 mins on low flame. My Cupcakes are done in 30 mins. Remove in a plate & allow to cool completely. Enjoy super delicious Dark Chocolate Chips Cupcakes!